Modern women and men have seen Nietzsche's proclamation of the death of God as a great liberation. Yet the death of old beliefs can cause us to feel that the world has grown colder. 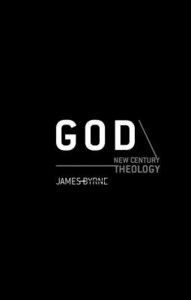 ;Here, James Byrne explores how we can think creatively about God again, offering the view that God is a symbol or metaphor for the totality of everything we consider to be of absolute value and meaning for us. By engaging with philosophers such as Kierkegaard, Sartre and Nietzsche, as well as contemporaries as varied as the Dalai Lama and the late British journalist John Diamond, Byrne invites us to abandon na ve ideas about God and to think of God as something more than the idol of the Church, philosophers and theologians. In particular, he argues that taking God seriously means taking our own talk about God less seriously and in good humour. James M. Byrne is Professor of Religious Studies and Chair of the Department of Religious Studies at St. Michael's College in Burlington, Vermont. He is the author of "The Christian Understanding of God Today" and "God: Thoughts in an Age of Uncertainty".